Looking for dependable auto service or maintenance work in Utah? We do everything we can at our Murray Acura service center to make the process as efficient and convenient as possible for you! 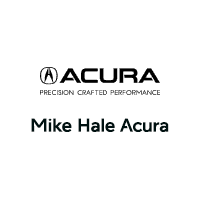 With friendly service technicians boasting many years of experience and state-of-the-art equipment, you can count on Mike Hale Acura to get the job done right. When it comes to finding the best location for all of the possible automotive needs, drivers throughout the Murray, UT area have unique access to an unparalleled automotive resource, Mike Hale Acura. From Salt Lake City to Sandy, West Valley City, and beyond, drivers seek a dependable, convenient, and trustworthy automotive center to handle every need that could arise. From identifying the perfect new Acura model or pre-owned vehicle, to obtaining auto financing, and getting service or parts for your vehicle, the teams at Mike Hale Acura are able to provide the most satisfying experience possible. With a huge selection of brand new Acura models, including the ILX, TLX, RDX, MDX, NSX, and RLX and more, drivers from Sandy to South Jordan will be able to get a great offer on the innovative and valuable offerings of the new Acura lineup. Widely regarded for their incredible comforts, dynamic performance, and long list of valuable features both standard and available, the models of the new Acura lineup are poised to deliver a unique sense of satisfaction on the roads of the greater Salt Lake City area and beyond.